Carbon Cloth Gas Diffusion Layers (GDLs) are designed to meet the various requirements in Hydrogen (PEMFC) and Direct Methanol Fuel Cells (DMFC). These Gas Diffusion Layers are manufactured by proprietary woven technology. 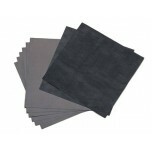 Zoltek™ Panex PX30 PW03 woven carbon fiber fabric has high cross-ply tensile and interlaminar she..
Zoltek™ Panex PX30 PW06 woven carbon fiber fabric has high cross-ply tensile and interlaminar she..
AvCarb 1071 HCB plain carbon cloth fabric is designed to meet the demanding requirements of frict..
ELAT Hydrophilic Plain Carbon Cloth gas diffusion layers are excellent for flow batteries. 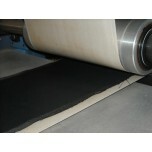 The ex..
FuelCellsEtc's ELAT® LT1400 is a carbon cloth Gas Diffusion Layer (GDL) with a carbon microporous..
FuelCellsEtc's ELAT® LT2400W is a carbon cloth gas diffusion layer (GDL) with a carbon microporou..
CeTech is a woven carbon cloth with a Microporous Layer (MPL). 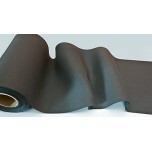 It has a total thickness of 410 um..
CeTech is a woven carbon cloth without a Microporous Layer (MPL). It has a total thickness of 330.. The Gas Diffusion Layer Variety Kit (also known as the GDL Kit) comes with a variety of 5 differe..